Today, Capcom announced the contents of the Resident Evil 2 Deluxe Edition, one of the many ways to get your hands on the game along with some bonuses. This includes a reversible cover, with Leon Kennedy on one side and Claire Redfield on the other. It has been a busy day for Resident Evil 2 news. Several new screenshots for the game were released. Along with that, new gameplay footage was revealed, featuring the debut of this game’s version of classic Resident Evil monsters, the Lickers. Back during San Diego Comic-Con, Capcom revealed the whopping $200 Collector’s Edition, a GameStop exclusive which comes with things like a Leon Kennedy statue, a digital soundtrack, a hardcover artbook, the same Deluxe DLC Pack, and blueprints for the Raccoon City Police Department. 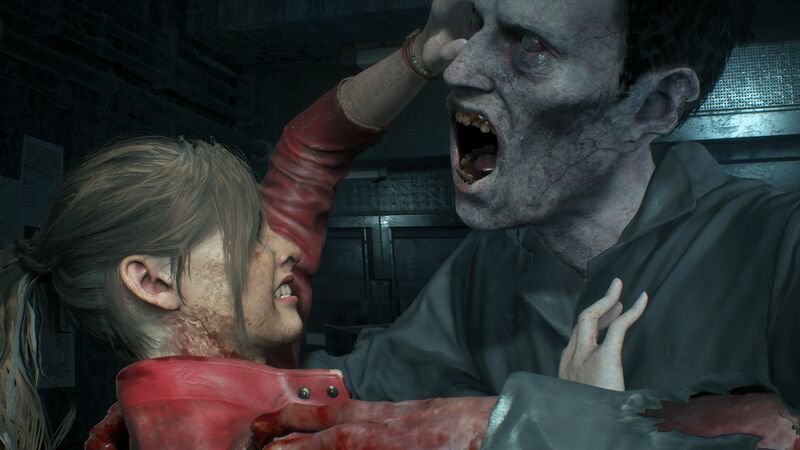 Resident Evil 2 is set to release on January 25, 2019, on the PlayStation 4, the Xbox One, and the PC.